When you are reading this, Joey van Meesen, will be on an airplane on his way to Okinawa, Japan. For two weeks he will move around the island to research the World War 2 Battlefields. Throughout the trip, he will be actively posting pictures and other content on Facebook and Instagram. But the biggest effort will be put into his YouTube Travel Video series where he walks the battlefields and explores the island. Joey hopes to learn and understand the Okinawan culture and also to show the world what the former battlefields look like today. 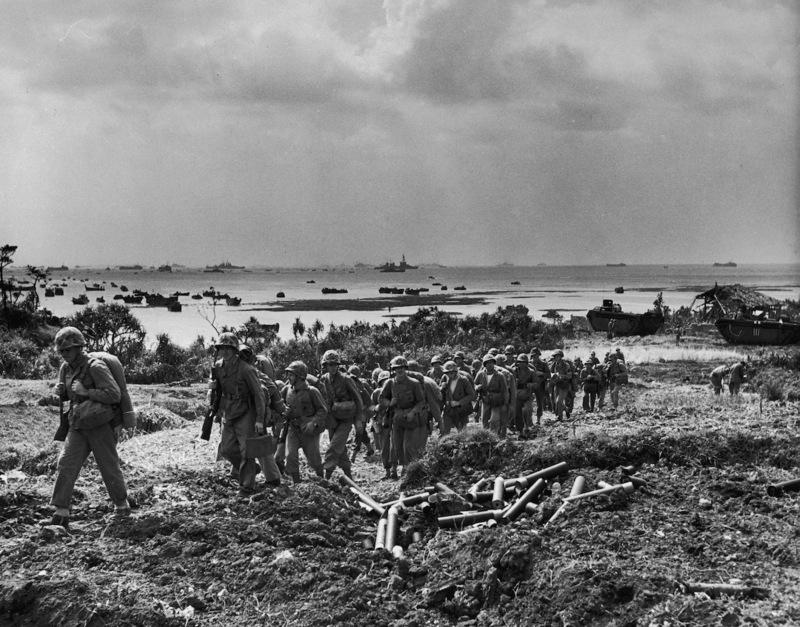 He’ll be walking in the footsteps of the 1st and 6th Marine Division as well as the 7th, 77th and 96th Infantry Division who all fought in the Battle of Okinawa. Don’t forget about Hacksaw Ridge with the story of Desmond T. Doss! Joey will be visiting Hacksaw Ridge! Another interesting fact is that right now it’s the 73rd Anniversary of the battle which took place from April 1 to June 22, 1945. The Footsteps Researchers team members are really looking forward to following his travels as he visits these sacred locations, hikes in the mountains, and follows the footsteps of one of the bloodiest battles in World War 2. Besides a lot of fun and interesting stuff, this trip will help him broaden his work field. Joey hopes to gain a ton of knowledge and experience with the battlefields over there as well as the island itself. The Pacific Theater and research of it is overlooked way too often compared to the European Theater. Also for Footsteps Researchers, it’ll expand our service to the Pacific. This means we can help MORE families and honor MORE veterans! Make sure to follow Joey both on Instagram, Facebook and Youtube. The YouTube video series will be edited and released in the summer months! You can also follow Joey on our Facebook and Instagram! Prentice W. Ball’s knife has arrived in the USA!